Thematic in structure, Heads Up will tell a human story of the men and women who run our leading independent schools, lifting the curtain upon what happens behind closed doors, how Heads think, and what they seek to achieve. 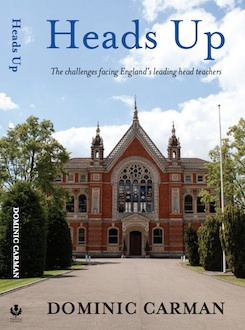 Heads Up will provide a window on how the best Heads define and determine the culture, and the imprint of their personality, upon their school, while uncovering their problems and how they deal with them. Thirty-two Heads have been interviewed at length - from Eton, Westminster and St Paul's to Wycombe Abbey, North London Collegiate and Winchester - each providing candid insight into their numerous challenges. Demanding governors, treacherous staff, difficult parents, long hours, legal problems, financial difficulties and relentless pressure to achieve are part of the daily routine. In answering questions others dare not ask, Heads Up will probe the often secret world of an impressive, powerful group, whose methods and mores are varied, fascinating and compelling. What makes a good Head? How are they are hired and fired? Why do they fight with Governors? Who wins? When must problem children be expelled? 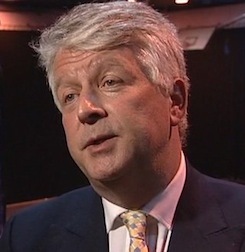 Which rich and powerful parents litigate? Heads Up will deliver the answers. "Everyone likes a little bit of insight into how other people/schools do things, and for this reason I like this book very much...an honest, interesting and informative collection of opinions and ideas that provides a wealth of insights, whether you are an aspiring head, a newcomer or at the top of your game." "Relationships with parents, governors, staff and children (yep, they get a look in) are explored in soundbites, gobbets and vignettes, and this makes for a pleasing, easy journey. "